SWJ is designed for those who know what they want and who are concentrated on results.You will not find predefined description for routines or any other amateur targeted features here. 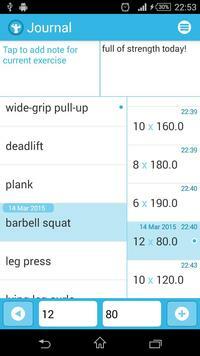 This app is similar to simple sheet of paper where you write down exercises with repetitions and sets you have performed. It consists of two synced lists: one for exercises you have performed, and the second for sets you have done. Add an ability to write down a note for an exercise or set - and here we are. Maximal informativity with minimum of interactions. Additionally you can create report for chosen exercise with graph and some stats. 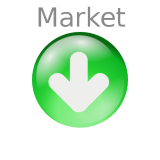 It has no ads, just as your sheet of paper, and you can export or import data with help of Google Drive or simply using file system. Also for convenience you can define routines to follow them later.